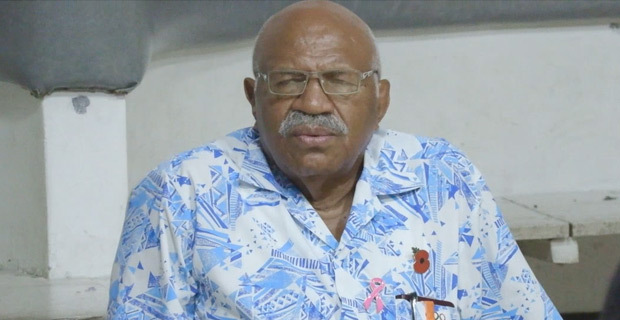 SODELPA Leader Sitiveni Rabuka has stated that SODELPA is looking to introduce a minimum wage of $4 an hour that can also be negotiated between the employers and the workers. While speaking at the USP Nadroga/Navosa Students Association Soli, Rabuka went on to explain that SODELPA is looking at introducing minimum wages for certain sectors. He adds that for estate owners for instance cattle farmers or land owners who may find it hard to pay the minimum wage, they may be able to compensate them by providing housing, water and electricity. Rabuka has also highlighted that SODELPA will also be looking into career planning and career employment and will do away with short term contracts for civil servants. He says that SODELPA is all about inclusive leadership and a leadership that listens. Also present at the USP Nadroga/Navosa Students Association Soli were SODELPA's Campaign Director, Anasa Vocea, SODELPA member, Isikeli Komaisavai and SODELPA Provisional Candidate, Pio Tabaiwalu. 44 students of the University of the South Pacific were present and they also had a talanoa session with Rabuka during the soli.